Every singer knows they should be doing warm ups to exercise their voice, but most skip them. I don’t think we do this because we’re lazy, but more so because the idea of a solid warm up is fuzzy. So, I decided to write this article to help clear up any confusion you may have about vocal exercises. Let’s get started! The purpose of a solid warm up is to carve a path of right singing. We want to make sure we’re tapping into optimal coordination and resonance to make our singing as easy and healthy as possible. Why would this matter? Well, our voices aren’t like any other fixed instrument. Both our inner and outer environment have an effect on our voice (allergies, hydration, energy levels, mood, etc). Since our voice can so easily be altered, it’s important to make sure we’re brought back to a balanced place before singing. All of this also assumes that you’ve achieved a certain level of balance in the first place. 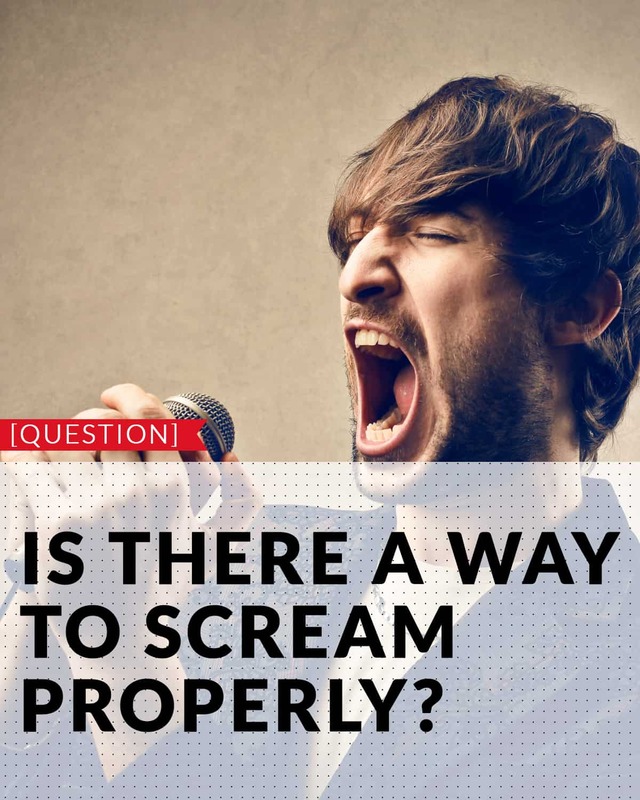 If not, the right vocal exercises can help simplify your path, helping you find balance much faster than in a song. So now that you know why we warm up, let’s talk about what our goals are. An effective warm up isn’t about mindlessly singing through scales over and over. We want to use the scale and the sound that we sing to help guide us to a balanced voice. When your voice lacks any of the above factors, your vocal coordination is less balanced, and you’re working harder than you need to when creating sound. We also want to focus on singing in different resonance with ease. Working on scales to balance chest, head and different variations of mix will help carve a path of right singing. Just make sure that you’re continuing to balance the factors mentioned in the above list. There are literally dozens if not hundreds of warm ups that I use on a regular basis to help my clients balance their voice. Each voice is different and needs individualized attention. Rarely will two voices need to be warmed up in exactly the same way. But, I do have few favorites that’ll help you focus on finding balance in the voice. You can access them here – GrowMyRange. Well, I know warm ups are a complicated topic, but I hope this helps you better understand what you should be doing when warming up the voice. If you have any questions, please feel free to ask them via facebook messenger here or by @tagging me on Twitter.